Gionee has officially launched its latest F5 smartphone, which houses mid-range specs, as well as a 5.3-inch HD display and a huge 4000mAh battery capacity. The device is now available in China. The Gionee F5 is powered by a MediaTek MT6750 octa-core processor with Mali-T860MP2 GPU, 4GB of RAM and 32GB of internal storage that is expandable up to 128GB via micro SD. 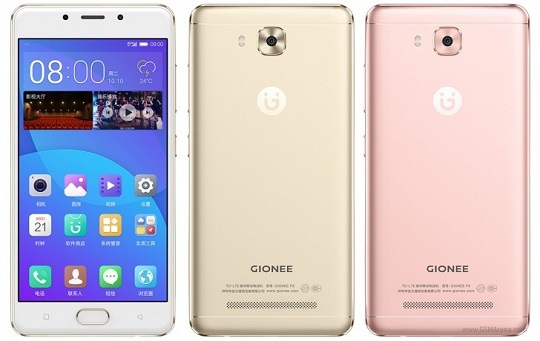 Gionee's latest offering currently runs on Android 6.0 Marshmallow operating system pre-installed with Amigo launcher. For imaging, the F5 packs a pretty standard 13-megapixel rear camera with autofocus and LED flash. It also comes with an 8-megapixel front snapper. The Gionee F5 is available in gold and rose gold colors in the Chinese market at an SRP of CNY1,799 or about Php13,000 in actual conversion. There's no word yet for a possible international release.